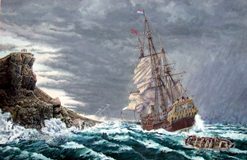 Some time in June 1712, the 700 ton VOC ship Zuytdorp, Captained by Marinus Wijsvliet, was wrecked on the Western Australian coast, called New Holland at that time, crashing onto rocks at the bottom of cliffs just south of Shark Bay. 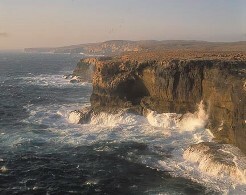 The cliffs are now called the Zuytdorp Cliffs. It had 286 people on board when it left its home port Wielingen in Zeeland (Netherlands) on 1 August 1711. It was also carrying a cargo of trade goods and silver including some 250,000 guilders in newly minted coins for the VOC in Batavia. It lost 112 persons on the way to the Cape where it arrived on 23 March 1712. Another 22 left the ship there. About 130 new crew members (replacing those that died and left the ship) may have been brought on board for the trip to Batavia. They left Cape Town on 22 April 1712. 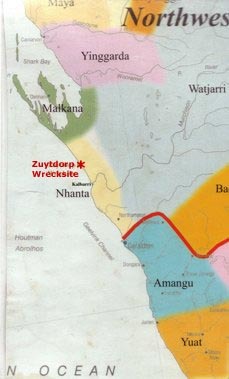 Unlike the three other Dutch and English East India Company vessels known to have wrecked on or off the WA coast, no survivors from the Zuytdorp ever reached Batavia to report the disaster. Hence there is no precise date of the wrecking. But there were survivors, their numbers unknown. It is quite possible, however, that as many as 200 could have survived, considering the ship wrecked on the shore. What happened to these survivors? It is speculated that many of these New Holland castaways were probably accepted into the indigenous communities surrounding the wreck site (see map) and that this acceptance extended to intermarriage and the production of offspring. There is much work to be done to prove this. Go to Castaways website. In 1927 a stockman discovered the survivor's campsite at the top of the cliffs. He found silver coins and some artifacts but no signs of human remains. 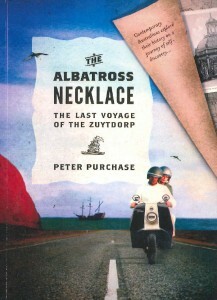 It was another 30 years before it was realised that this was indeed the wreck site of the Zuytdorp. For more detail on the finding and exploration of the wreck see the ABC Shipwreck web site and the Maritime Museum website. Return to the VOC Historical Society's Home Page. 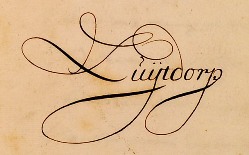 Writing from archive material of the Zuytdorp. Adriaan de Jong's painting of the Zuytdorp moments before wrecking. Section of Western Australia's coastline. 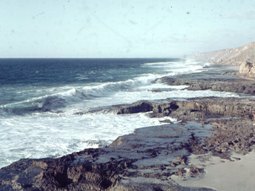 In June 1712 the Dutch vessel Zuytdorp was wrecked on the cliffs north of Kalbarri in Western Australia. There were survivors. At the heart of the incident lies one burning question, Did the survivors integrate and settle with the local Malgana Aborigines of Shark Bay? Lennard Currie is a part-Indigenous Australian glass sculptor with an international reputation. He's dedicated to investigating both his Malgana and Dutch heritages. Believing he may be a descendant of Gerrit de Waal, senior carpenter aboard the Zuytdrop, he meticulously researches Gerrit's history. In reconstruction Gerrit's life, Lennard discovers insights that guide his future. The West Australian author entertains his readers with an irresistible epic novel examining two intriguing periods in history, the Golden Age of Dutch global expansion and the British settlement of the Swan River Colony in Western Australia in 1829. An imaginative fictional novel drawing extensively on historical fact, it is a work as meticulously researched as it is fluently written.